City Hall is open Monday through Friday from 8:00 a.m. to 5:00 p.m. We provide guided tours of the building with advance scheduling or as part of an educational partnership with West Ada School District. While guided tours are not readily available at this time we do encourage citizens and visitors alike to come and explore our campus. City Hall is a LEED certified building and we strive to minimize our footprint on the earth. Full details about City Hall. Guests are first greeted by the City Hall Plaza, a wonderful park environment where one of the City’s free Little Libraries can be found. Feel free to grab a book and enjoy some fresh air. The Plaza also has many informational panels and photos that can be enjoyed. In the spring, the building’s resident duck couple, “Will and Kate,” can often be found nesting in the fountain. Inside the City Hall lobby guest will be greeted by one of our friendly volunteers who are happy to point out events happening within the building. 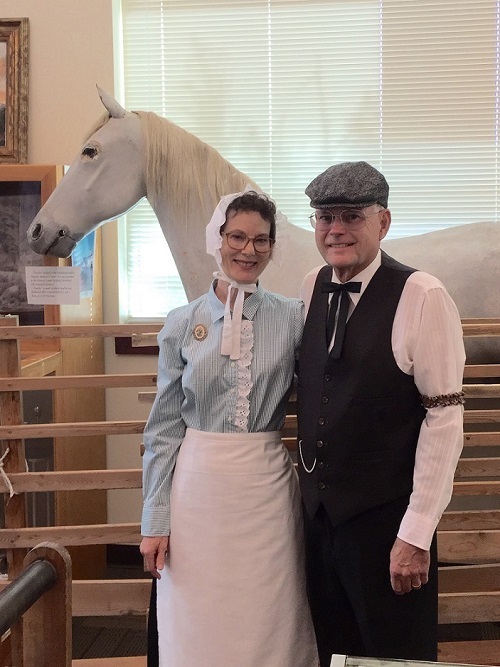 The Meridian History Center is located on the first floor and is open daily from 1:00 p.m. to 3:00 p.m. The First Floor houses the Finance Department (including Utility Billing), the City Clerk’s Office, and the Community Development Department. Before heading to the 2nd floor take a glance up towards the sky to view Amber Conger’s “Origin” an original art piece dedicated to the early surveyor’s who helped to build Meridian. The Third Floor features Initial Point Gallery. This gallery was generously provided by the City Council. It was designed to be growth space for a future build out but in the meantime residents and employees alike love the cultural experience the space offers. Initial Point Gallery features a monthly rotation of pieces by local Meridian artists. More information about the gallery can be located here. The Third Floor is also home to the Mayor’s Office, Human Resources, Information Technology and the Legal Department. 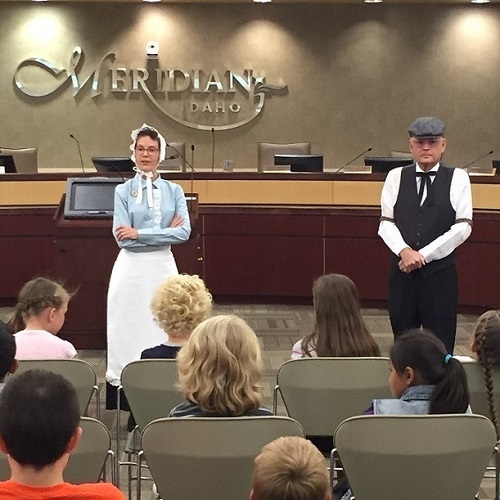 While City Hall tours are not regularly hosted we invite you to contact our Volunteer Coordinator, Barb Hatch, at 208-489-0562 or bhatch@meridiancity.org if you have an interest in attending a pre-scheduled tour or inquiring about the possibility of a guided tour for your scout troop. 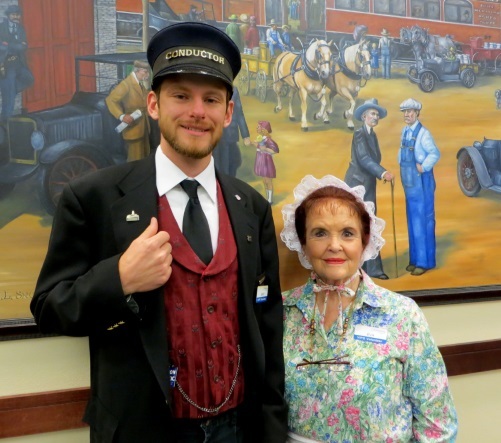 We look forward to meeting you and hope you enjoy your visit to Meridian City Hall.